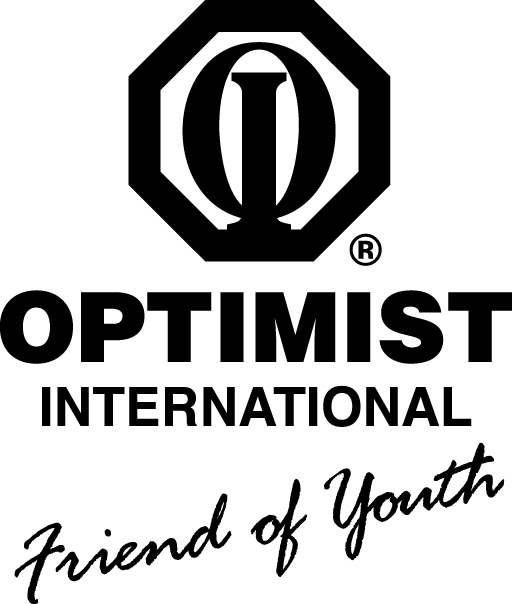 Phil Rodriquez has applied for membership with the Downtown Optimists. He moved here from St. Joseph, MO where his family owned a Mexican Restaurant. He is a former teacher and high school wrestling coach. He is the father of three kids, an out of the nest 22 years old, and a high school sophomore and an 8th grader. The two younger kids are attending Rock Bridge H.S. Ken Oster revealed he had reached his 82nd birthday this past Tuesday. “Just a kid” as Red Leighton commented. Jack Cruise set a high bar for his criterion for awarding this week’s gift card. “The first person to shake his hand” (too many knuckle bumps). The award went to Phil Rodriquez (soon to be a member). Mary Dewey was today’s greeter. This past week for slow for her. She attended a funeral, liked the club’s BBQ. She will be attending the social event for kids at the Downtown Optimists’ Park on Tuesday. Representative from the Ridgeway Neighborhood will be there with cookies along with Community Policing Officer Justin. Sign In and badge or Pay the Pig All were signed in with their badges. Carl Scott noted he cleaned out the pig this past week with $20.00 to add to the club contribution for childhood cancer. Club Social – Max reported the event came off like a charm. Thanks to Larry Fick for organizing the games, Steve Winters and Scott Stager for helping with the cooking and Carl Scott for organizing the sign-ins. Door Prize –The door prize donated by Nadia Ryakhmyatullov for a night for two at the Candlelight Residential was won by Dave Murphy. Board Meeting July 20th There is one grant request from the Family Impact Center for a series of educational programs for kids. Oratorical Contest is coming up in April, 2018. Feel free to join this committee by contacting President Ed Musterman. The club needs to spread the word to attract more kids with the ultimate prize of $22,000 at the international level. Essay Contest is coming up in February, 2018. Feel free to join this committed by contacting President Ed Musterman. The club needs to spread the word to attract more kids. Applicant must be under the age of 18 by October 2017 and be enrolled in school. Monique White, Pascal’s Pals gave the slide presentation of the work done by this local volunteer organization that benefits the children and families staying at the Children’s Hospital in Columbia, Missouri. The mission of Pascale’s Pals is to provide happiness to the children and ease the burden of the families during their stay in the hospital. Their belief that happiness, love, and prayer helps children heal quicker. The main focus of the organization for children and their families after a diagnosis of cancer or other live threatening disease has been given. The prime movers of this organization are the White family who organized the group after their experience with their daughter and sibling for Monique who was diagnosed with lymphoblastic leukemia at age 2 in 1995. Pascal’s Pals celebrate over 20 years of giving to kids this year. By the way, Pascal is a survivor who just graduated from Columbia College this year. Pascal’s Pals works with Women’s and Children’s Hospital to provide a special service to children and the families after a child has been diagnosed with cancer, a chronic disease or a terminal disease. Once the diagnosis is given, the hospital social worker sits down with the child and family and in the course of events develops a “Wish List.” Pascal’s Pals takes on the task of filling this gift list of toys, books and other items to provide happiness to an otherwise depressing situation. The most frequent request is for an I-Pad. Approximate forty of these are distributed annually in the “Wish Baskets.” Other items include American Girl Dolls and lots of toys. PP also provides special events: a visit from Carl Edwards, Easter Baskets and 4th of July Baskets. PP also raised $50,000 for a playground attached to the Patient Center to be used for rehabilitation exercises. MU students have become involved sitting with kids as parents during “movie night.” In addition to all this PP provides an Emergency Fund for special needs that not all parents can afford, such as Funeral expenses, moving expenses, cloths, travel costs and special equipment. Each year Pascal’s Pals raises and spends over $100,000 in support of their work. The White family organizes an annual auction. The next auction will take place on Friday, March 9, 2018 where there will be about 20 items auctioned off in a live auction and over 200 in a silent auction. Anyone who wished to volunteer or donate items can contact the website: http://pascalspals.org/ Soft blanket and pillows are most in need. Aug 7 – Cheryl Unterschutz, Girls on the Run.